Last December, I baked a gingerbread house and mince pies for the Christmas period. 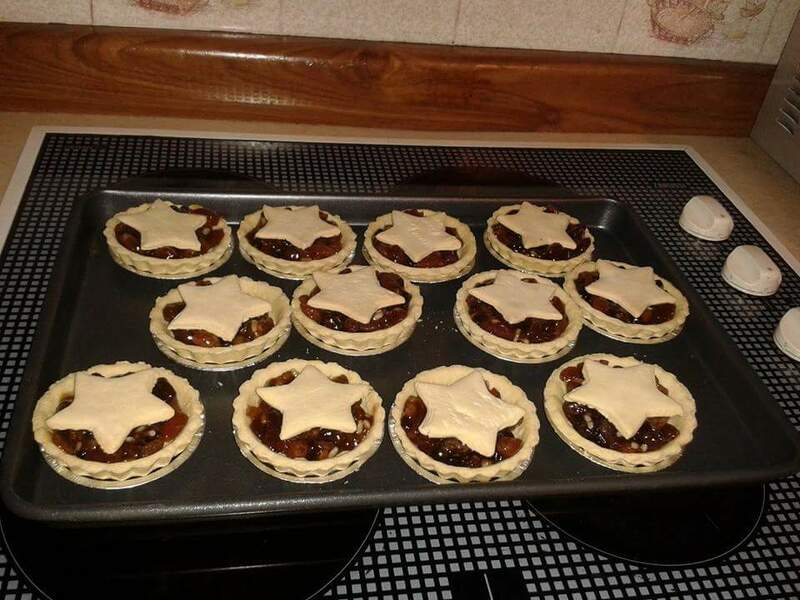 I’ve yet to decide what I’ll be doing this year, yet, but wanted to share the mince pies I made last year. Since I forgot to! … Better late than never? Pre heat oven to 200C/180C fan/ gas 6. Roll out the pastry on a flour-dusted surface. Stamp out circles of pastry with an 8cm cutter and press into silver pastry cases. Spoon a little mincemeat into each, then roll out the remaining pastry with a little more flour. Use a small (3-4cm) star cutter to stamp out 12 shapes. Top each pie with one, and brush the top of each with a little milk. Bake for 20-22 mins or until the pastry is golden and crisp and the filling piping hot.